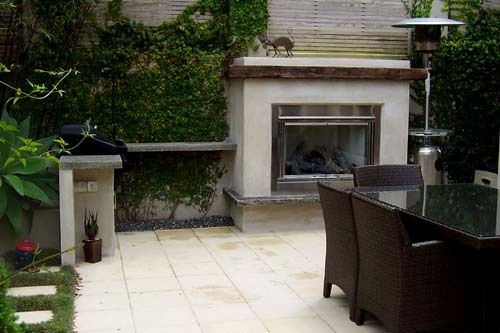 The client wanted an intimate outdoor living space featuring an outdoor gas fire and bbq where he could entertain with ease and comfort. The relatively small outdoor space was transformed into a convenient and easy-to-use functional area which became an extension of the house living space. Rustic elements were included including sleepers and a concrete hearth. The end result was an intimate entertainment area that met all requirements of the brief.